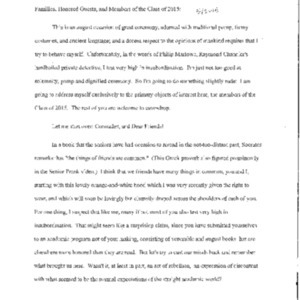 Creator is exactly "Tuck, Jonathan"
Typescript of a lecture delivered by Jonathan Tuck as part of the Graduate Institute Summer Lecture Series. 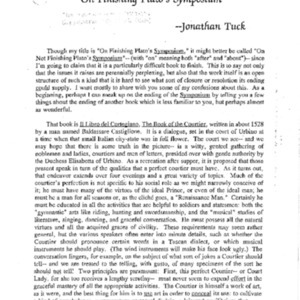 Typescript of a lecture delivered in summer 1986 by Jonathan Tuck as part of the Graduate Institute Summer Lectures Series. 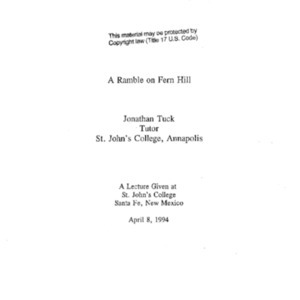 Audio recording of a lecture delivered on September 18, 1992 by Jonathan Tuck as part of the Formal Lecture Series. 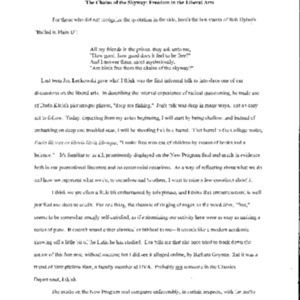 Audio recording of a lecture delivered on January 16, 2009 by Jonathan Tuck as part of the Formal Lecture Series. 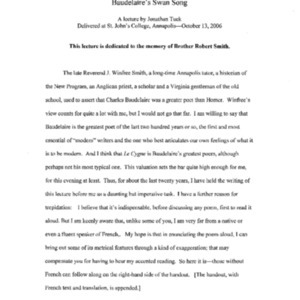 Audio recording of a lecture delivered on October 13, 2006 by Jonathan Tuck as part of the Formal Lecture Series. 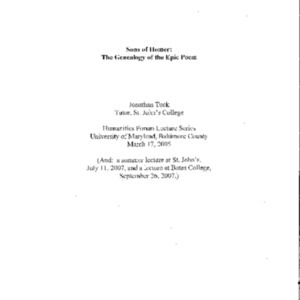 Audio recording of a lecture delivered on October 3, 2003 by Jonathan Tuck as part of the Formal Lecture Series. 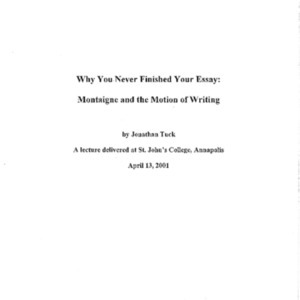 Typescript of a lecture delivered on October 13, 2006 by Jonathan Tuck as part of the Formal Lecture Series. 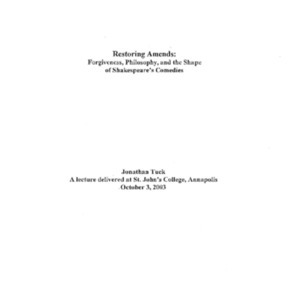 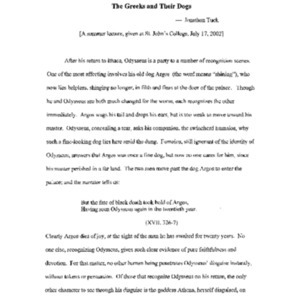 Typescript of a lecture delivered on October 3, 2003 by Jonathan Tuck as part of the Formal Lecture Series. 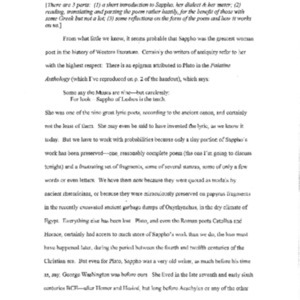 Typescript of a lecture delivered on April 8, 1994 by Jonathan Tuck. 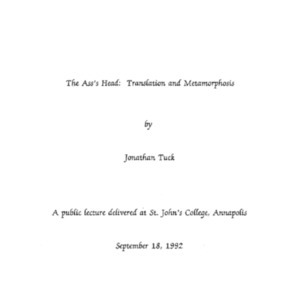 Typescript of a lecture delivered on April 8, 1988 by Jonathan Tuck as part of the Formal Lecture Series. 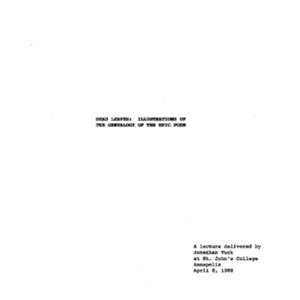 Audio recording of a lecture delivered on April 8, 1988 by Jonathan Tuck as part of the Formal Lecture Series.